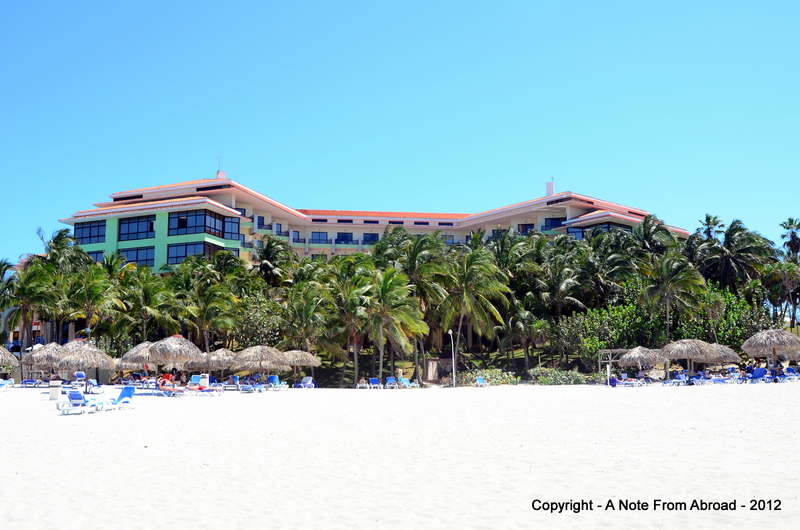 After spending a week in and around Havana, we traveled about 75 miles east to Varadero Beach. 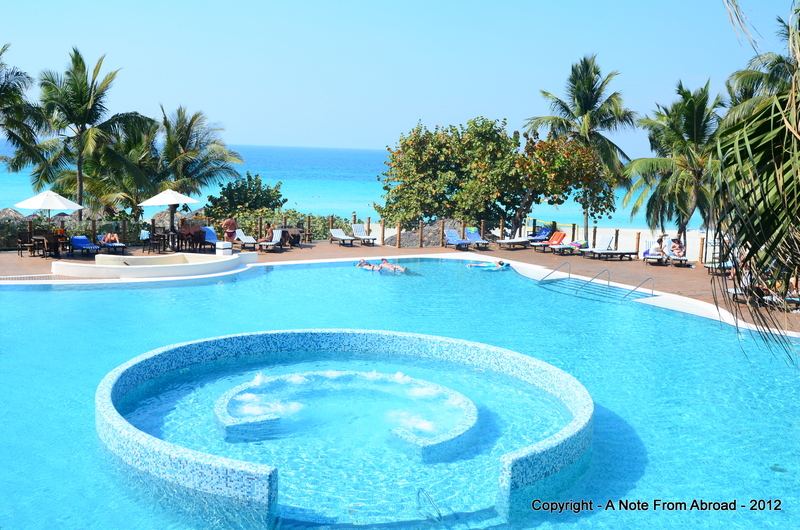 Varadero is a resort town in the province of Matanzas. It is situated on a long (12 miles), narrow (3/4 mile) peninsula. 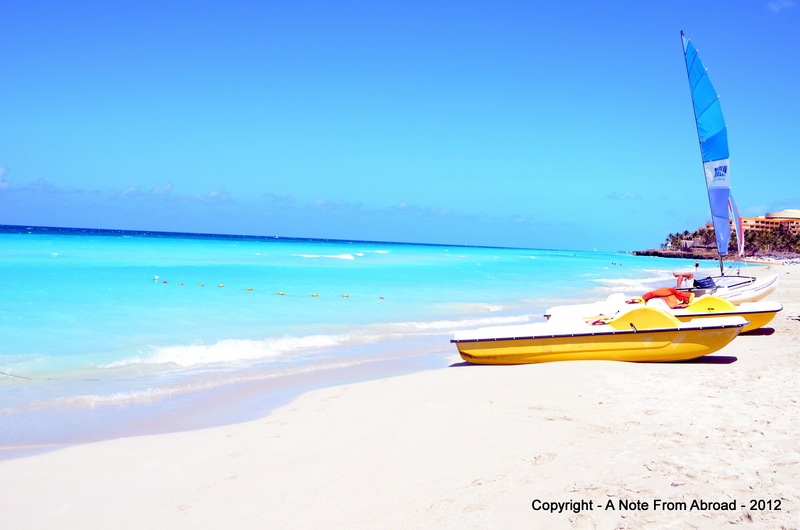 Also called Playa Azul (Blue Beach), it is one of the largest resort areas in the Caribbean. Known as a tourism area famed for its sandy beaches, it was a favorite hangout for famous Americans such as Al Capone and the millionaire Dupont. The Melia Las Americas Hotel was modern and could just as easily been located in Miami or other Caribbean hot spot. Spa services, beach rentals, beautiful swimming pools, and white sand beaches all added to the atmosphere. I am always on the lookout for local flowers, birds or animals that are different from what I see in Southern California. 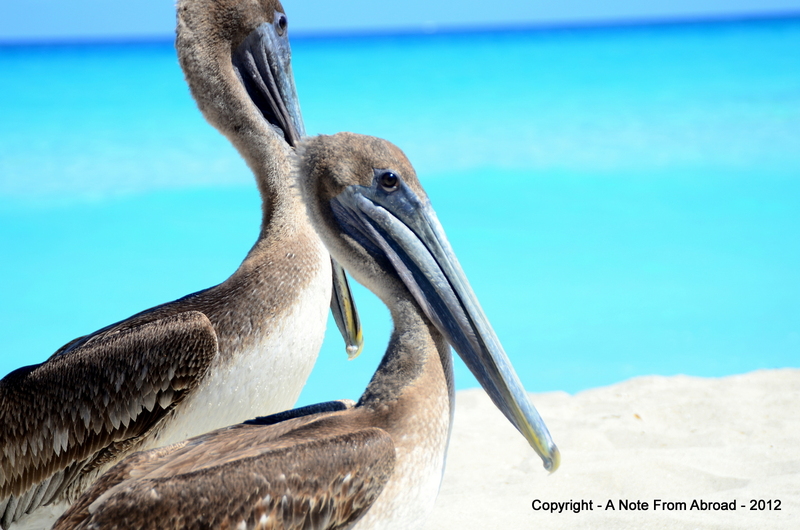 Some fun additions include the Brown Pelicans, Curly Tailed Lizards and Termite Mounds. Since we were on a People-to-People licensed tour, on our itinerary was a visit to an Emergency Medical Clinic. We each brought with us a small amount of medical supplies to donate. 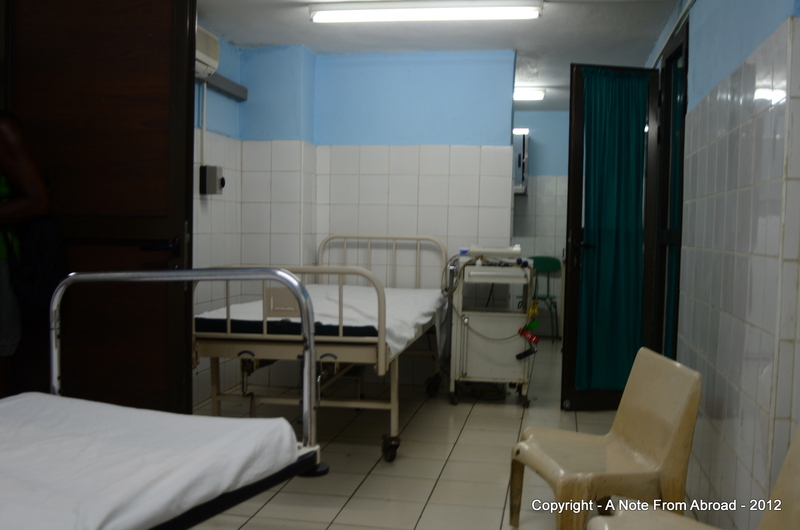 The clinic was small, relatively clean and much more basic than one would find in the states. The doctor and nurses on staff were reluctant to allow us to take any photographs while inside as this is frowned upon by the local government. They were concerned that comparisons would be made (which of course is true) and that their lack of supplies and equipment would be an embarrassment to Cuba. Still I managed to click a few shots without being too obvious about it. The quality of the pictures is not good, but it will give a bit of an idea of their facility. I found the opulence of the tourist hotels to be in such stark contrast to the basic medical facilities. I am grateful that I have never needed any medical assistance when traveling outside of the USA. I do know that there are many countries with excellent (and sometimes superior) medical services around the world. And in many cases the cost is much lower than it would be here in the states. That being said, I hope to never need to test that theory. Have you ever needed medical treatments outside of your home country? If so what was your experience? This entry was posted in Cuba and tagged Caribbean, Cigars, Cuba, Havana, Medical Clinic, Old Cars, Travel, Varadero Beach. Bookmark the permalink. There is a great deal of controversy in the news these days about changes to our relationship with this small nation just 90 miles off the coast of Florida. This is the final entry from our trip in March 2012. Cuban beaches rival any other I have visited. I enjoyed all three of the Cuba posts. If you ever get a chance, Huel Howser of the California Gold TV series did a great segment on Cuba. Tim and I have watched many of his California Gold shows, but not one on Cuba. I will try to find it. Thanks for the recommendation. You are very welcome. We thoroughly enjoyed our time there.